The Patient-Driven Groupings Model (PDGM) is the most significant change to the home health payment reform in the past two decades. The impact from PDGM is expected to significantly shift service delivery and will change the structure of home health reimbursements. A key component for calculating payment under PDGM will be clinical group assignment and co-morbidity adjustment, thus making ICD-10 coding more important than ever. Based on the primary diagnosis reported on the claim, the patient will be grouped into one of twelve clinical groups. CMS has defined a little over 43,000 ICD-10 codes that will be acceptable for grouping. In contrast, the total number of ICD-10 diagnosis codes is 71,932. This variance produces several diagnoses that will not fall into an acceptable category. It will be a challenge for agencies to ensure all patients can be assigned a clinical group. The list of unacceptable diagnoses includes unspecified and symptom codes that are frequently utilized as primary diagnoses in home care. 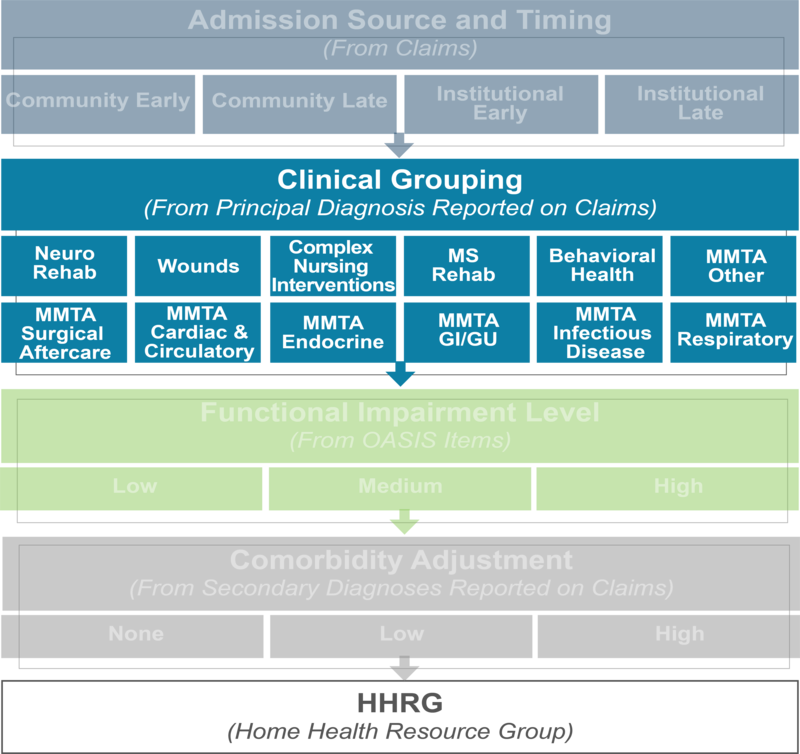 Under the current payment model, agencies that have patients with these types of diagnoses depend upon chart documentation to fully explain patient acuity and support skilled need. Under PDGM, this practice will not be adequate. Without a clinical group assignment, the case mix cannot be calculated which will result in an inability to submit the claim. Muscle Weakness (M62.81) is one example that is not included within the acceptable diagnosis list. Agencies should be concerned as this is currently one of the top codes used in home care as a primary diagnosis. It is CMS’s belief that muscle weakness is nonspecific and codes such as muscle wasting and atrophy are more appropriate to depict the need for skilled intervention. Codes that do not specify laterality or location will be another challenge. Physician referral documentation frequently indicate diagnoses such as lung cancer or osteoarthritis. Without further specification of specific lung or joint, these codes are unacceptable also. 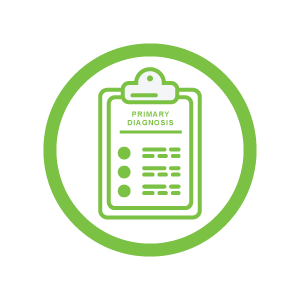 The need for specific diagnoses is not limited to the primary diagnosis section. PDGM introduces a co-morbidity adjustment that is calculated from up to 24 diagnoses that follow the primary reason home care is tracking the patient. The co-morbidity adjustment can increase reimbursement up to 20%. Therefore, it will be advantageous for agencies to focus on any additional pertinent diagnoses and ensure they are added to the claim. Evaluate current referrals for clinical group assignment and co-morbidity adjustment to discover where changes are needed—specific physicians, referral sources, etc. There is a caveat to the above listed actions. Although PDGM is considered budget neutral, CMS theorizes home health agencies will alter their coding and utilization practices to optimize reimbursement under the new payment methodology. This assumption led CMS to build in an adjustment component for payment. The specific amount has not been set, however it is estimated to be a 6.42% cut. This reduction escalates the urgency for agencies to evaluate current practices and develop a transition plan as these cuts will happen regardless of agency actual behavior. Agencies that take the time to evaluate their current state while looking at the future to tweak and improve will enhance their chances for a smooth and positive transition. Visit the Videos page of McB Insights to listen as PDGM experts discuss the impacts and what providers need to know.